All great landscape artists take the time to observe their subject and internalize it until they have something to express on their canvases that is totally and uniquely theirs. Anytime I choose to paint, weather it is in New Mexico or Italy and France, I like to find the elements, no matter how small, that speak of the particular qualities that express the uniqueness of that particular subject. It can be just the warmness or coolness of the light or the rhythm of the elements in the foreground. Sometimes it is the small things in the landscape or subject, that many fail to see, that I like to discover and that add just the right note to my painting. 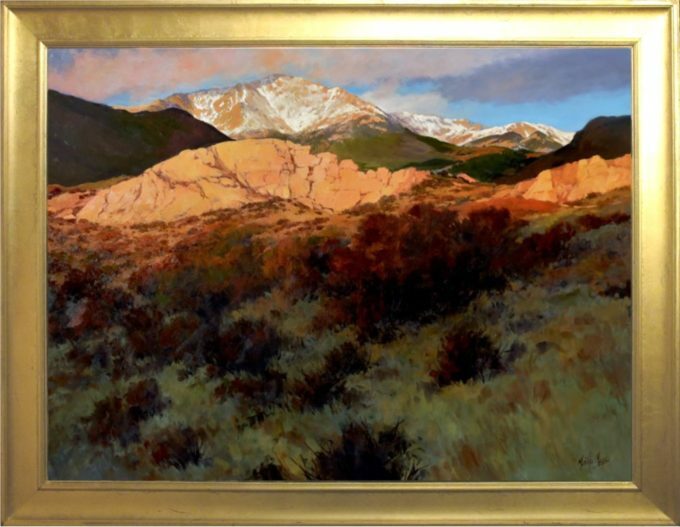 I have lived in New Mexico where the weather and seasonal conditions are always creating dramatic and changing effects on the mountains, valleys and mesas. I have also traveled extensively in Italy and France immersing myself in the culture of both countries. I find that the most familiar of landmarks, wherever you are, constantly take on different elements that can be fleeting and you only see that one time. It is always fun to discover those moments and use them as an inspiration for a painting. I also want the viewer to spend time with my paintings discovering qualities that on first observation might be missed. So, I like to use the rhythm of the different elements of shape, line, tonal value and color to bring them into each painting, giving them the experience of discovery that I felt as I was creating the painting. Rhythm is a very important element in my paintings. I treat it in a very musical way. The rhythm of the painting is very much like playing wonderful music. There are runs, pauses, small notes and repetitions along the way into and in the viewing of each of my paintings. I try for a sense of a physical movement as I guide the viewer into the landscape or subject I have chosen to paint. Martha Mans is a master artist in both oil and watercolor. 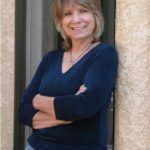 She has received her Bachelor of Arts degree from Carlow College in Pittsburgh, PA and did graduate study at the Maryland Institute of Art in Baltimore, MD and at the University of Southern California. Her work has been included in many juried exhibitions and has received many Best of Show Awards. She is a member of the prestigious American Watercolor Society of America and the National Watercolor Society. Her work has been included in exhibitions such as the National Academy of Design in New York, the Tokyu Gallery in Tokyo and Nagano, Japan, the Artists in Embassy’s Program, United States Embassy in Guatemala, the Salmagundi Club in New York, the Art’s For the Parks in Jackson, WY and the Governor’s Invitational in Loveland, CO.
Martha is also a master instructor who has been invited to share her vast amount of knowledge in painting at workshops in places like Italy, Turkey and Brazil as well as nearly every state in he United States. 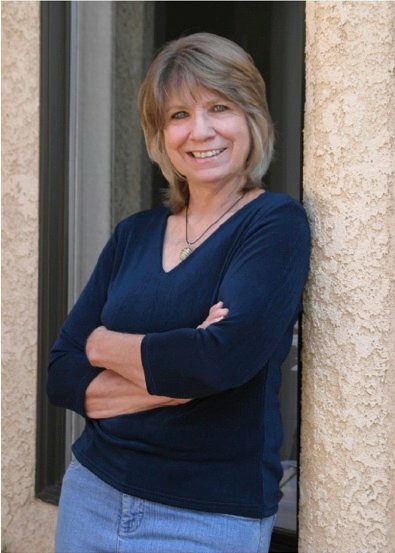 Many publications have featured her work. These include Artist’s magazine, American Artist magazine, Southwest Art Magazine as well as the books, “Making Your Paintings More Professional” by Carol Katchen, “Exploring Transparent Watercolor” by Gerald Brommer and the Best of Watercolor, Rockport Press. Some of the corporate collections that include her work such as State of California Asilomar Collection, Southwest Bank, Mitsubishi Corp., Atmel Corp., Steven Mullens Law Offices, Colorado Springs, CO and Maruko Seimitu Kogyo Corp. Nagano, Japan. Martha Mans is a signature member of the American Watercolor Society since 1992 and the National Watercolor Society since 1999. Other signature memberships include the Western Federation of Watercolor Societies and the New Mexico Watercolor Society. She is a recipient of the Silver Certificate of the San Diego Watercolor Society and is a member of the National Arts Club in New York. 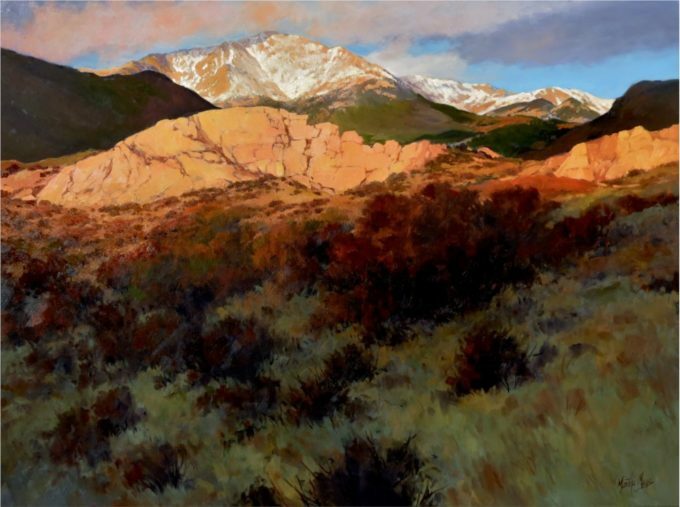 Martha is also an active member of the Pikes Peak Watercolor Society in Colorado Springs, Colorado, where she lives and has a studio.